We have a hall rug wheer the corner keeps turning up & hope this will solve the problem. I am hoping it weill help keep a rug in place over carpet. needed this for my rugs. I have two small rugs on a high traffic carpeted area and am constantly putting the small rugs where they belong as they "travel" across the carpet. Am hoping this will keep them in place. I have 2 rugs that need to stay in place so I thought I would try these. This caught my eye because I have several runners in the house that keep shifting. This looks as if it will solve the problem. I'll see! Trying to solve a problem form the rug moving on hard wood floor. reviews were somewhat positive. I needed grippers to keep my carpet from moving. My oriental rug constantly moves, I really hope these will stop it creeping out the door! Looking for solution to rugs that roll up on the corner. To keep my kitchen rugs from sliding. Safety from slipping on area rugs. To keep our rugs from slipping. 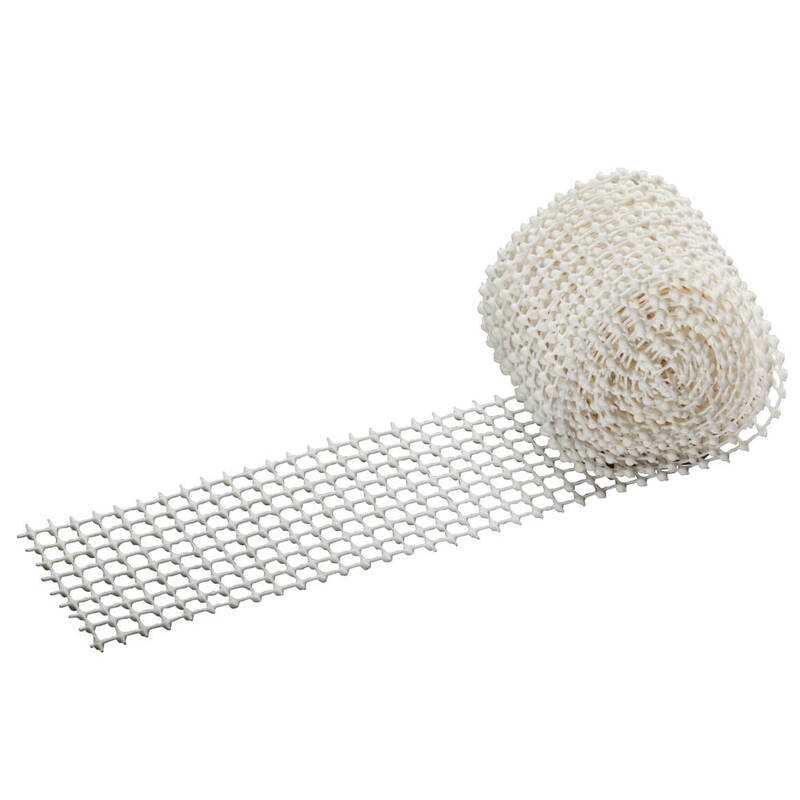 Price played an important part, and heard this item really works great on carpets. I hope these work for holding down rugs on carpet. I have tried other things like carpet pads underneath, but they do not hold throw rugs in place. Prayerfully these will do the job. TV room carpet on the wood floor. See if this works? Have a rug that always curls up. This didn't work. slipped and fell last week because rug was not secure. Just put down a new floor replacing the carpeting so now I need to keep my entry rug from sliding when sstepped on. 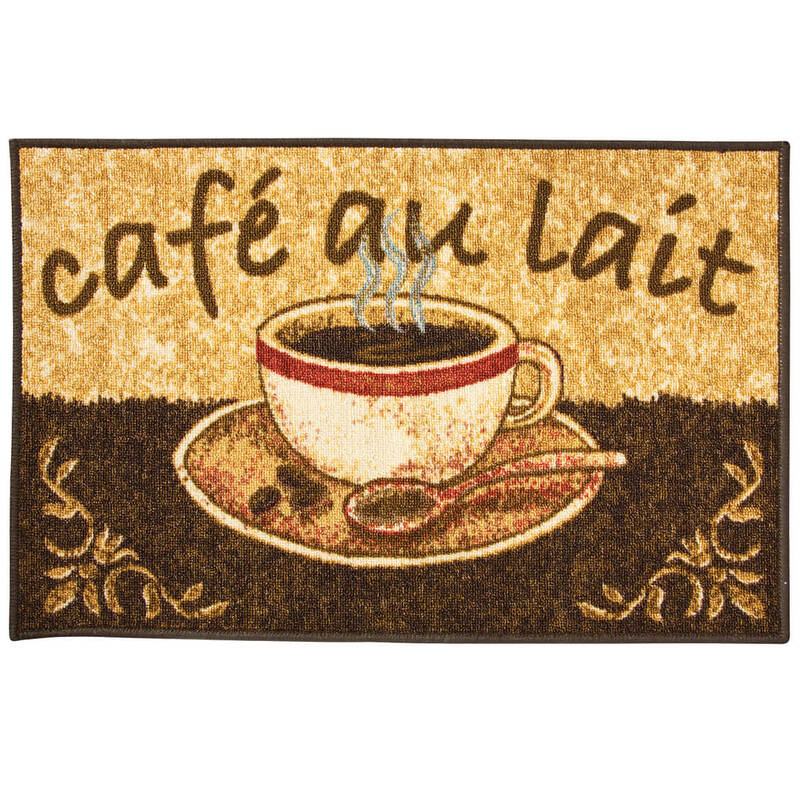 I have little throw rugs in my kitchen that slip around even with the double sided tape. I have area rugs that like to slide, my husband and myself are elderly and need them to be secure. Are these secure? BEST ANSWER: I recently put them on a rug in my living room that I or family was always tripping over. So far they have worked fine. I have one corner of a rug that would not stay down. It is working for that issue. I don't have a rug that slides. They did not work on a pergo floor. How do they work? Both sides are stickey, do they stick to floor? BEST ANSWER: Thank you for your question. 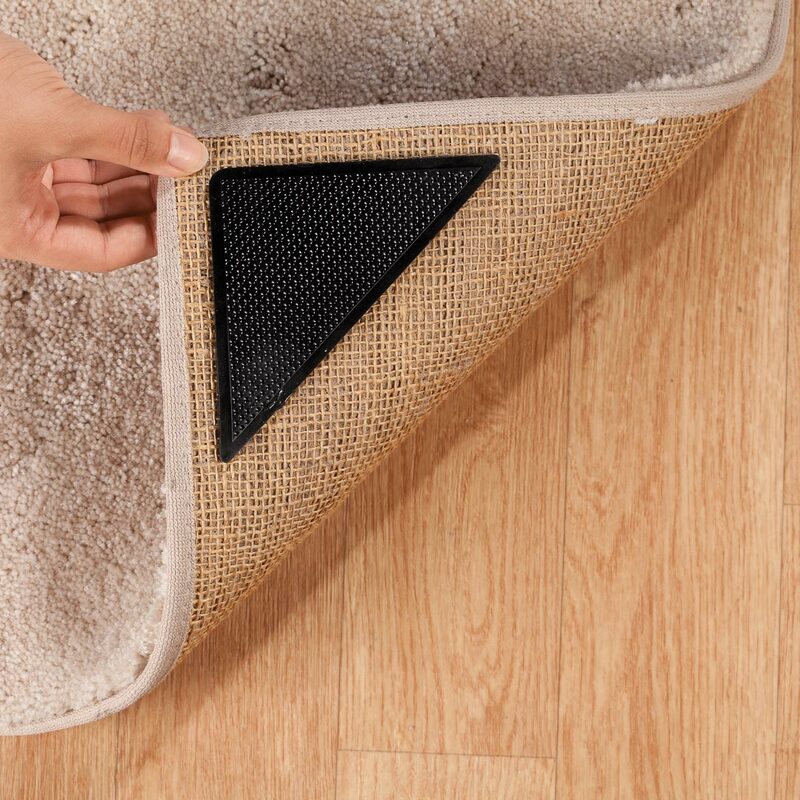 The adhesive portion goes on the back of rug, you then flip the rug over and firmly press the other end of the corner grip into your floor. We hope this information will be of help to you. how many rug grippers come in a set? BEST ANSWER: Thank you for your question. They come in a set of 8. We hope this information will be of help to you. 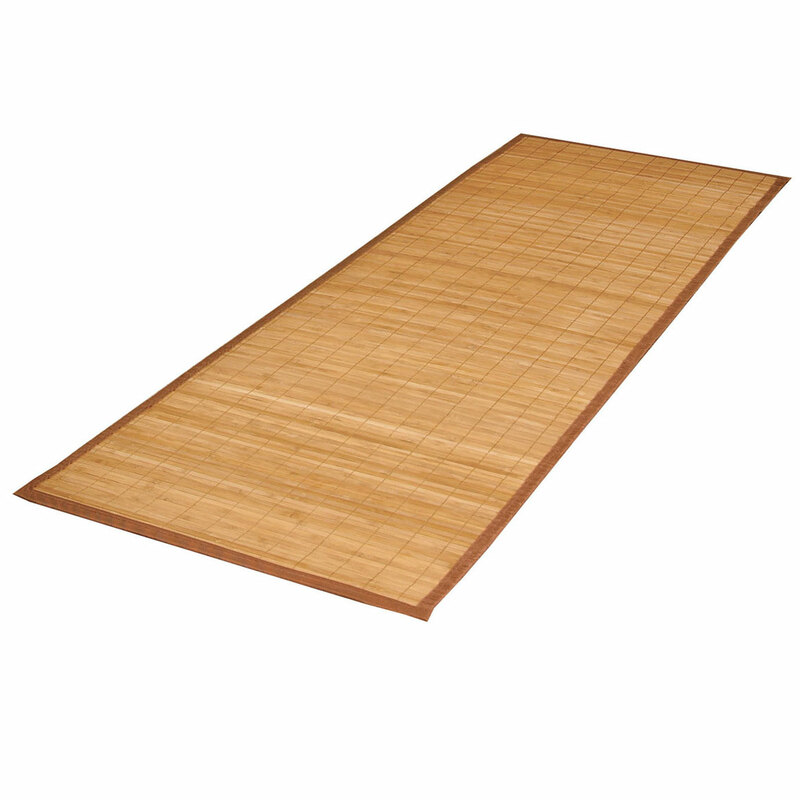 Bamboo Floor Mat - 24" x 72"
An environmentally friendly accent for any room. 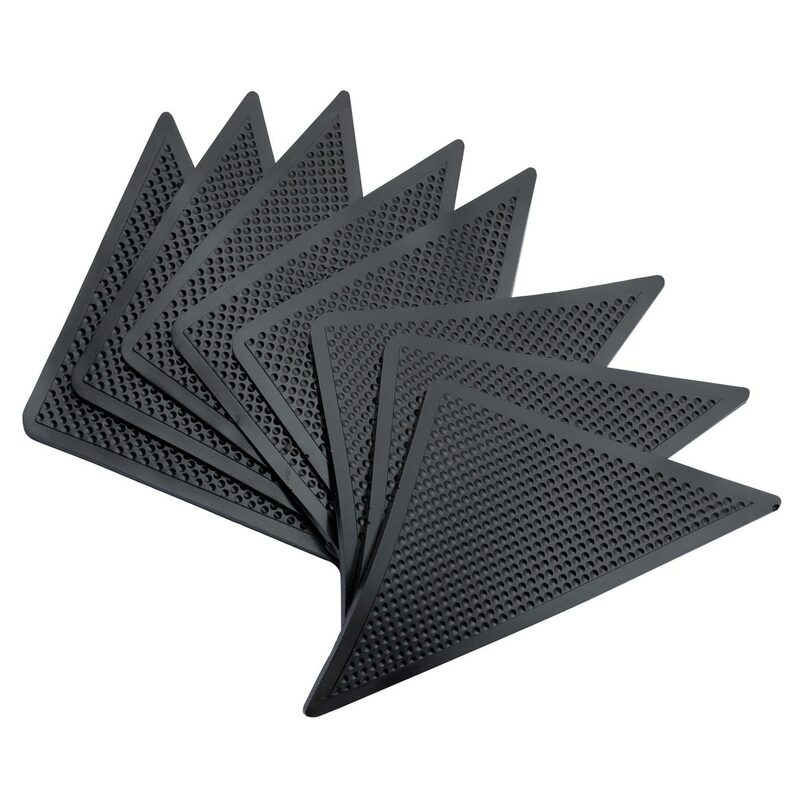 Bamboo floor mat stays put with nonslip rubber backing. Water-resistant bamboo runner is great in the kitchen, sunroom, hallway or entranceway. Nylon trim. Imported. 24 X 72. 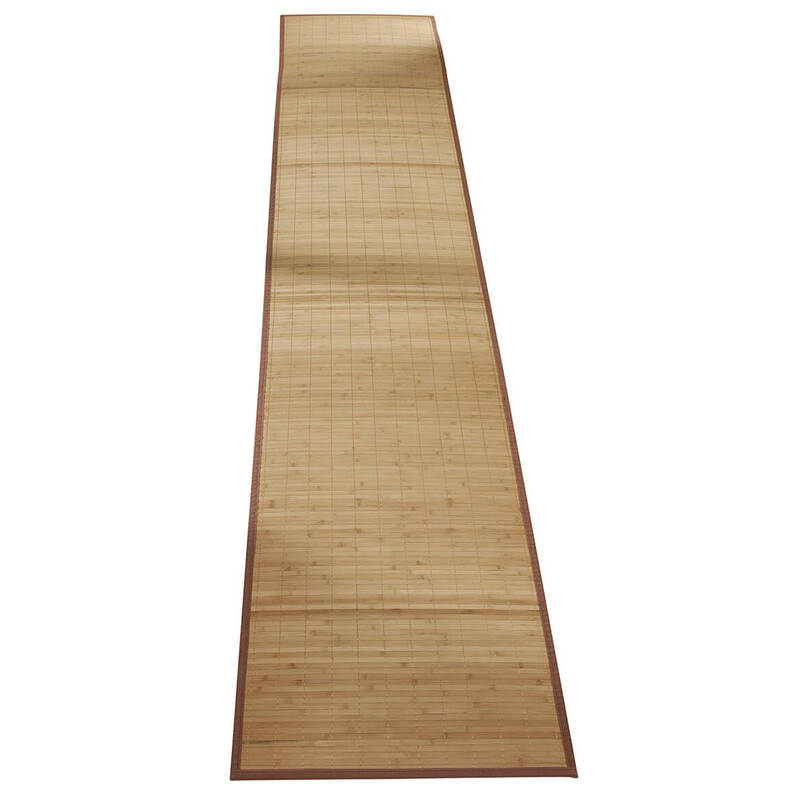 Bamboo Floor Runner - 23" x 118"
An environmentally friendly accent for any room. Bamboo floor mat stays put with nonslip rubber backing. Water-resistant bamboo runner is great in the kitchen, sunroom, hallway or entranceway. Nylon trim. Imported. 23 x 118. Floral border rugs liven up any room. Redecorate without breaking the budget! 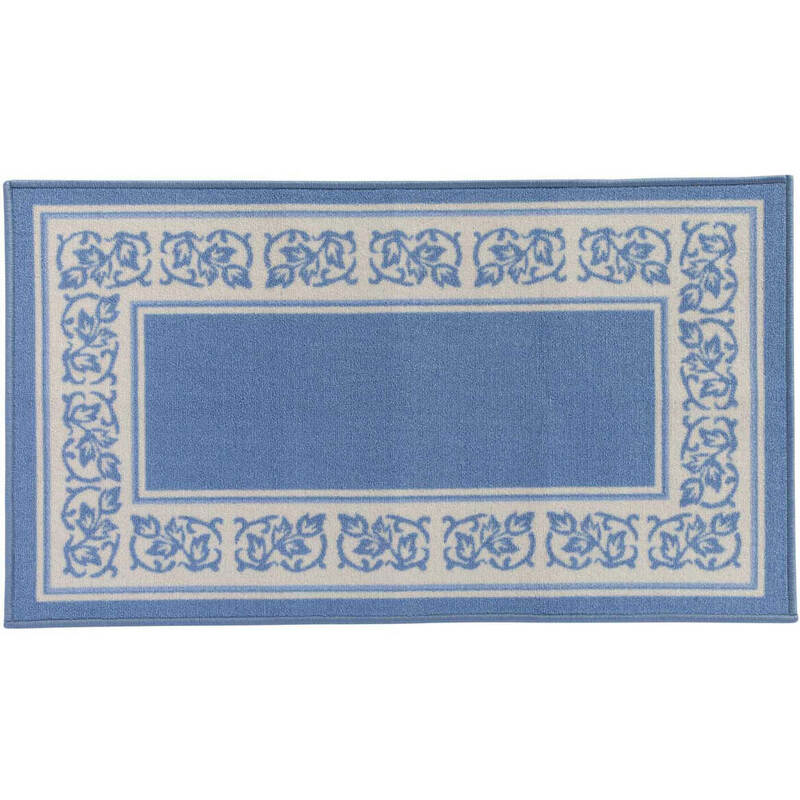 Floral area rugs in 4 rich colors are 100% nylon with nonskid latex back. Floral rug is machine washable. Imported.